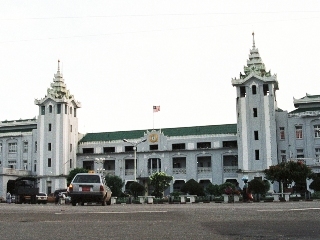 (left)Yangon Central Railway Station with traditional taste. Photo in Oct, 1996. 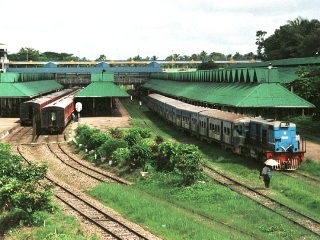 (right)Overview of Yangon Central Railway Station. Photo in Oct, 1996. 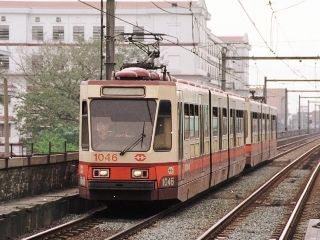 Manila Light Rail Transit System. 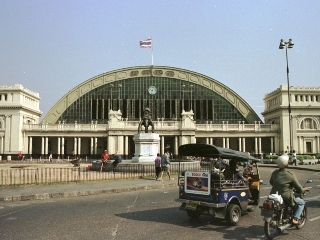 Photo and Film in Jan, 1997. 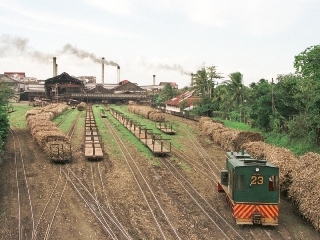 Sugar cane train in Negros, Phillippines. 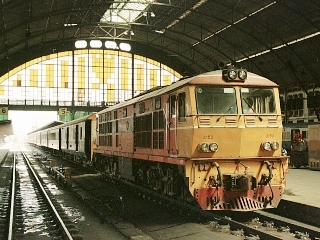 Diesel and Steam Loco were used. Filmed in Jan, 1997. 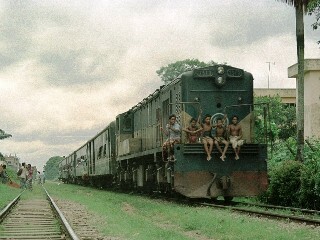 1000mm gauge railway around Dhaka, Bangladesh. Photo in Aug, 1991.